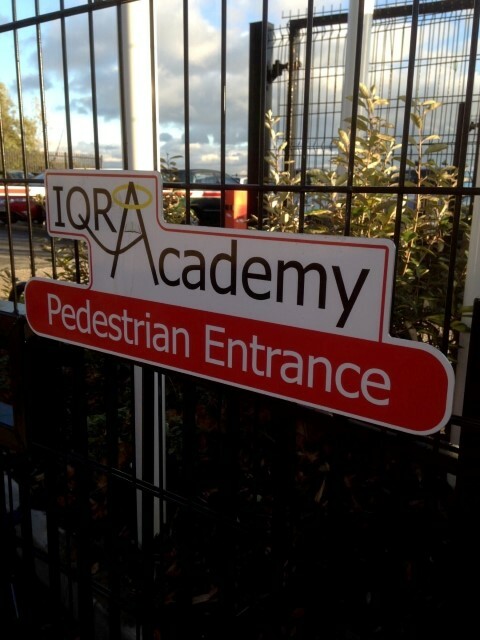 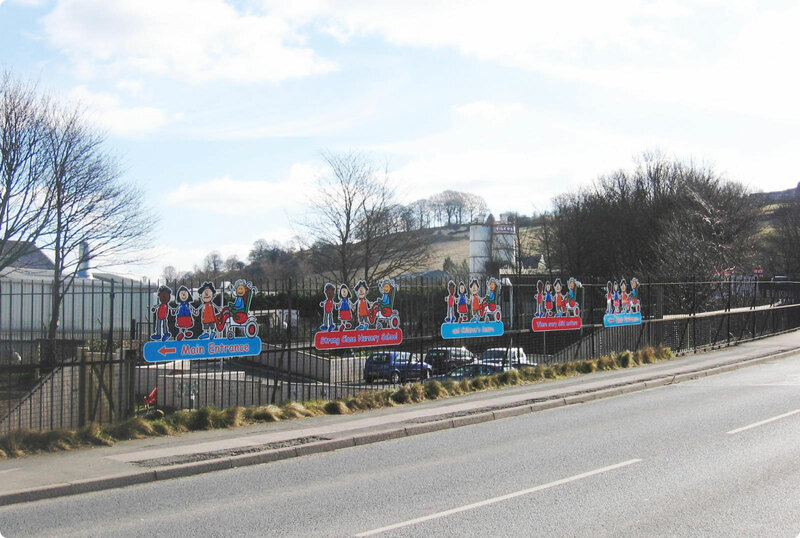 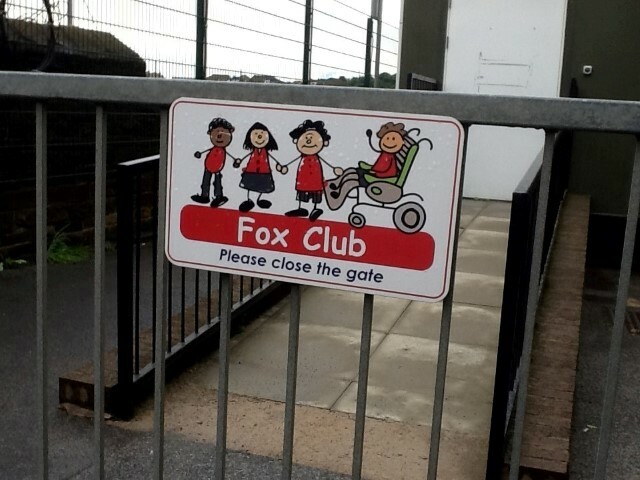 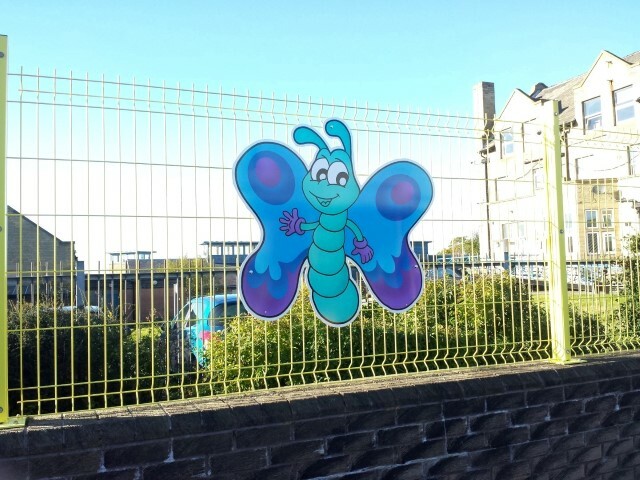 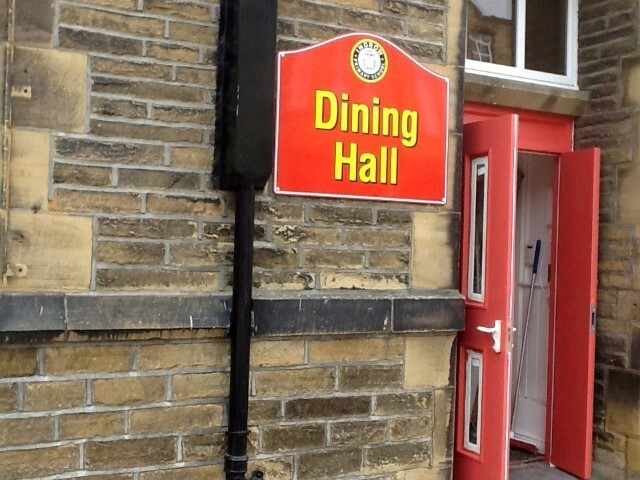 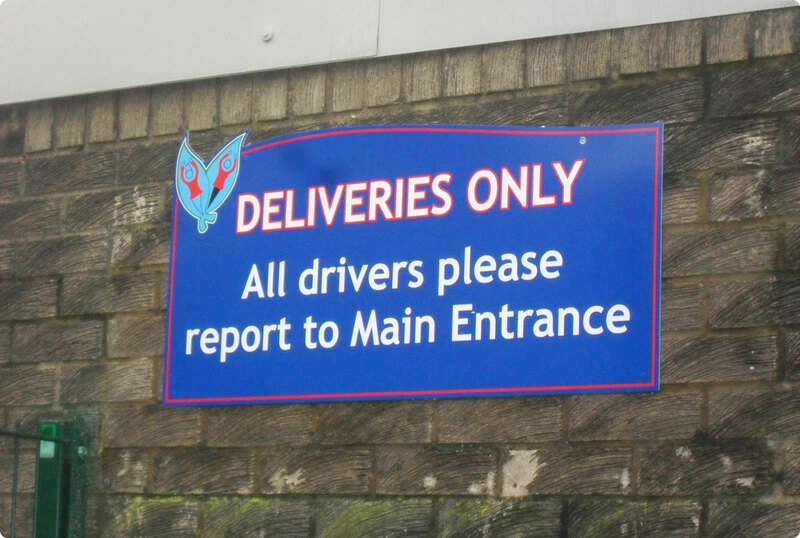 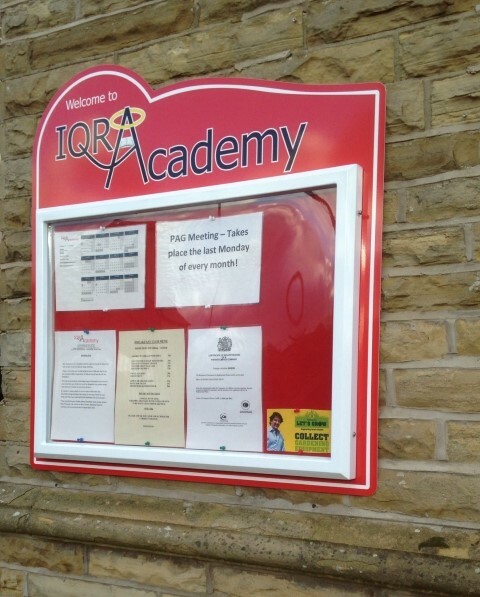 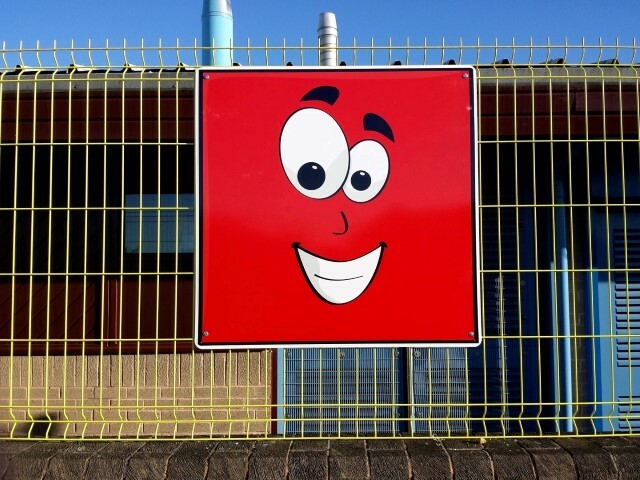 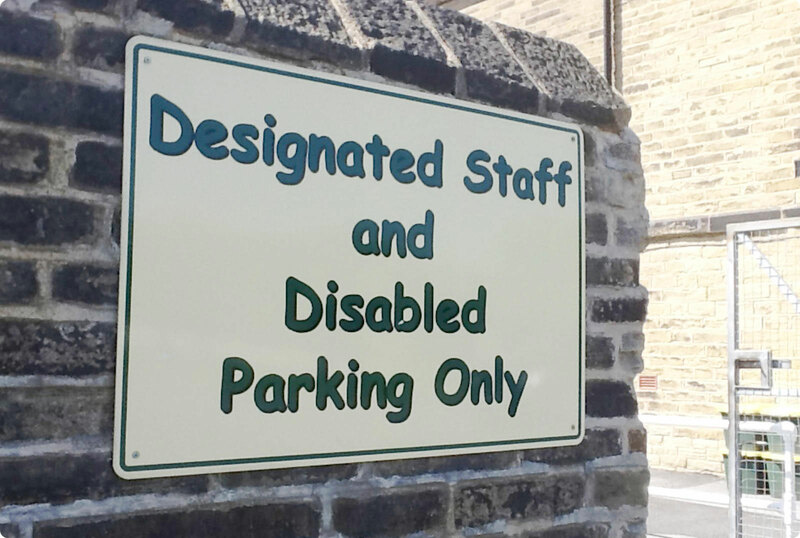 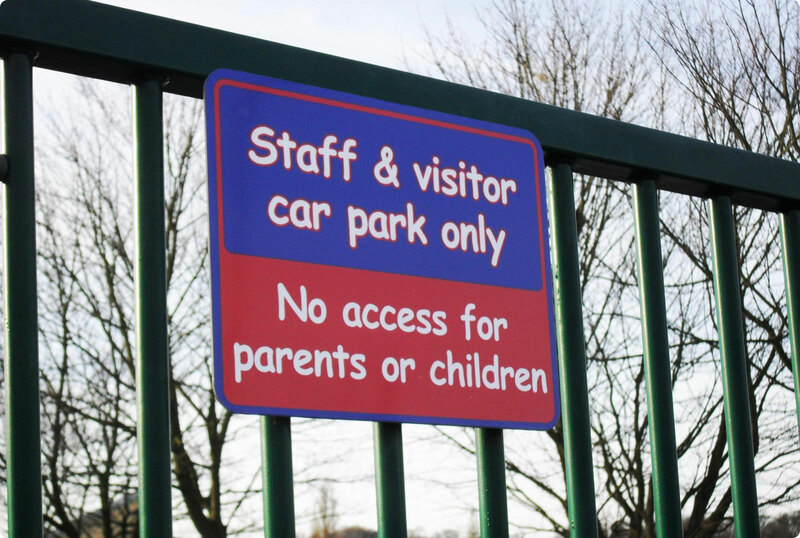 We supply a wide range of aluminium signs which can be mounted onto either a wall, fence or gate. 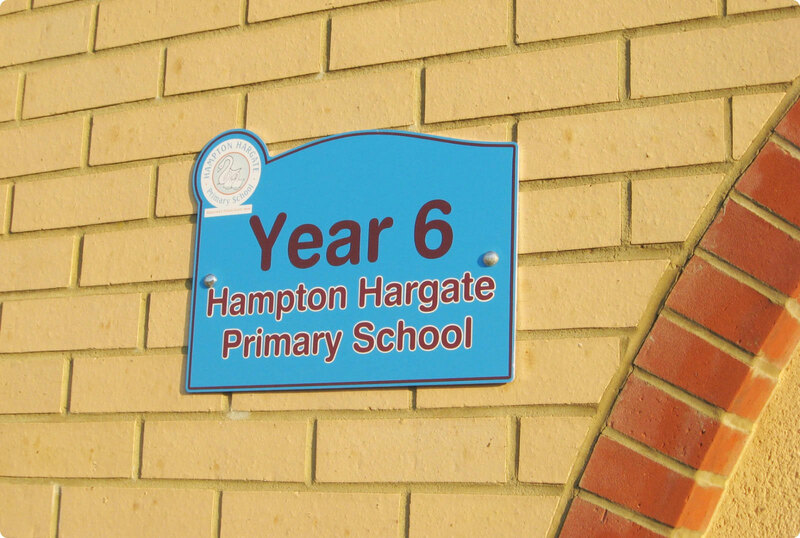 Perspex or Metal Letters create a classy effect and are available in a wide variety of finishes, colours, typestyles and sizes. 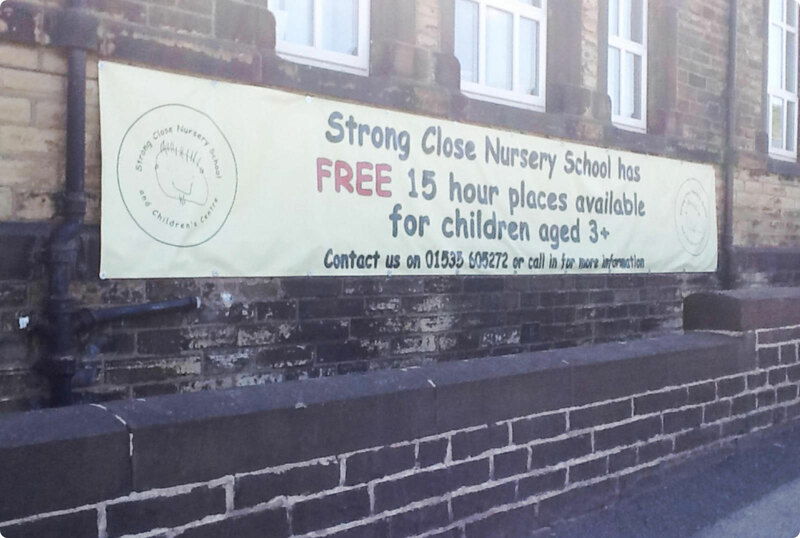 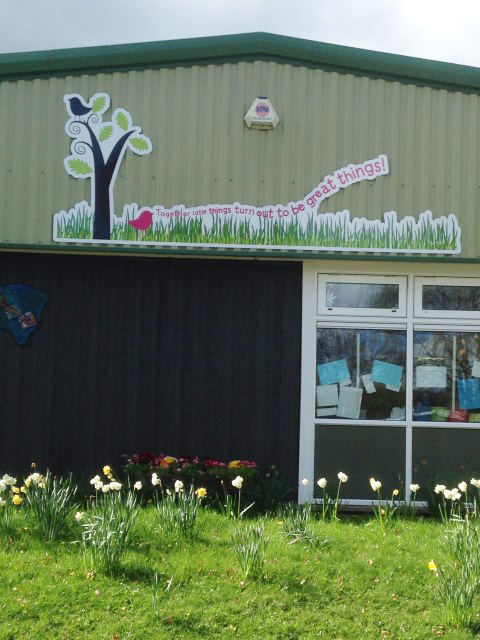 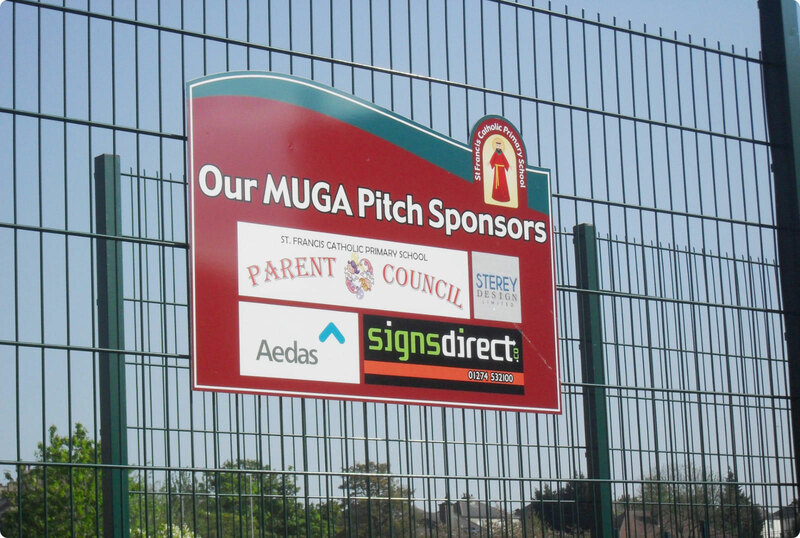 Add your school logo to enhance the design further, portraying the perfect image for your school, academy or college. 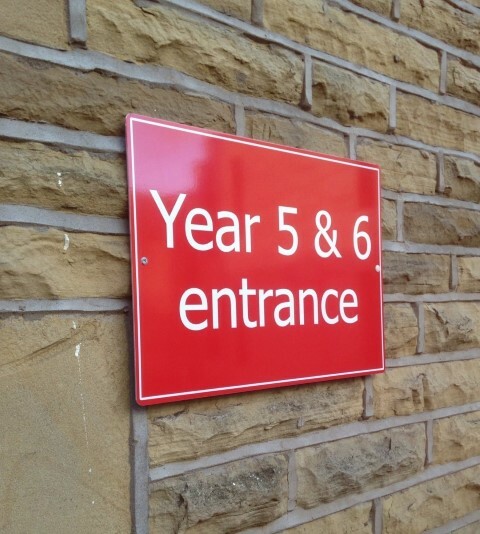 The Perspex or metal letters are available in a single colour, two colours or even patterned multicoloured, if you wish. 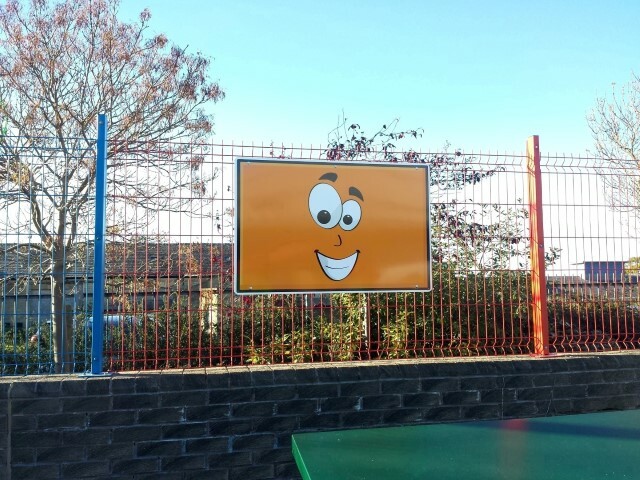 The colour options are endless. 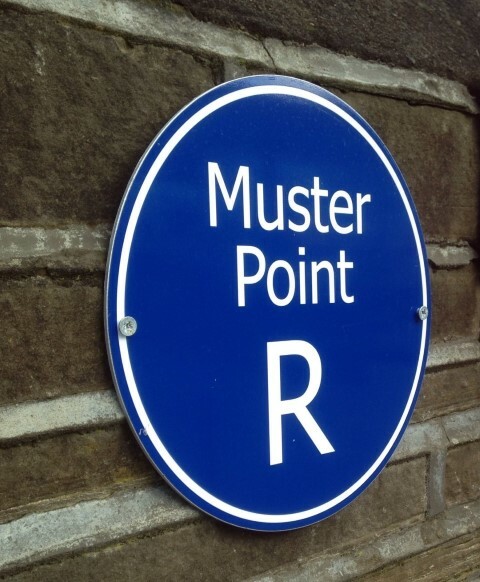 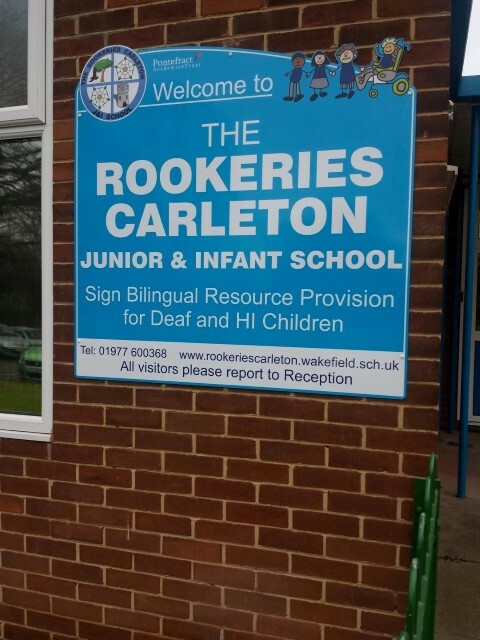 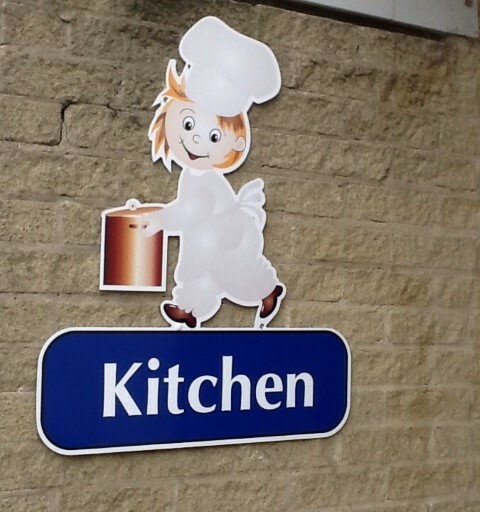 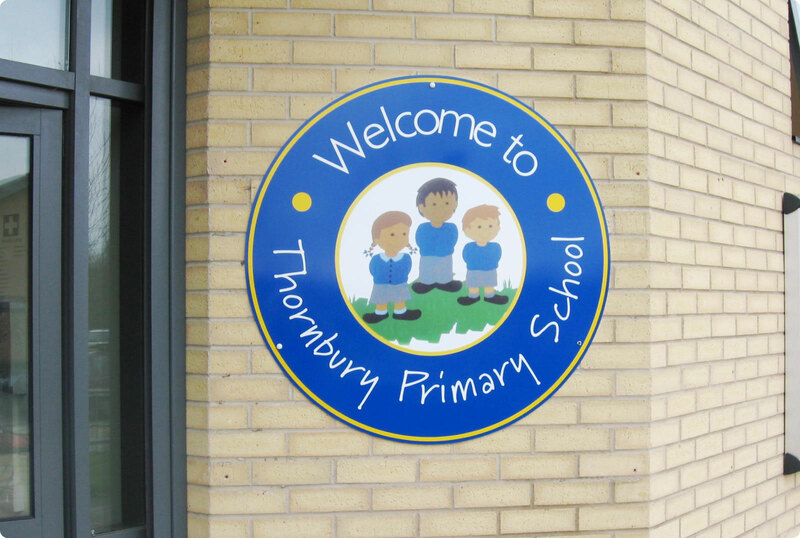 You could have for example blue letters with a yellow outline, or green letters with a blue outline, or any digitally printed designs can be applied to the face of the letters to create that bespoke “wow” factor like no other …. 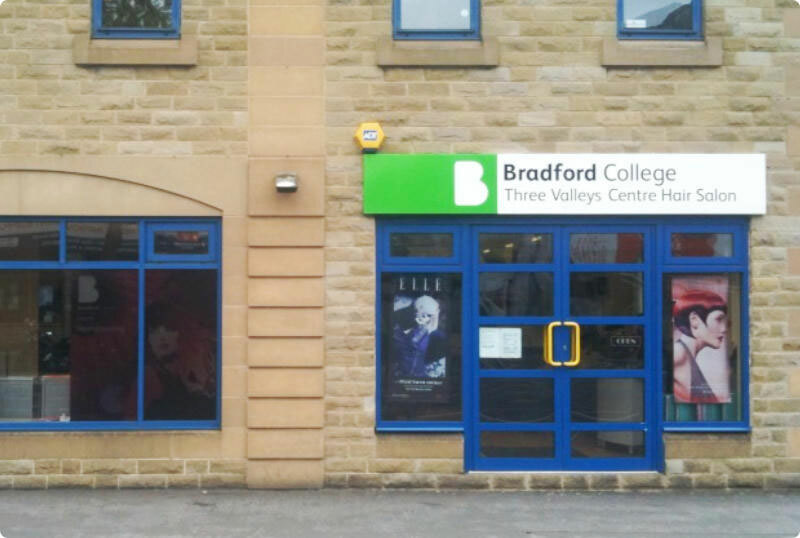 The letters and logos can be fixed onto locator pegs to allow them to “stand off” the wall or fascia, therefore creating a 3D effect. 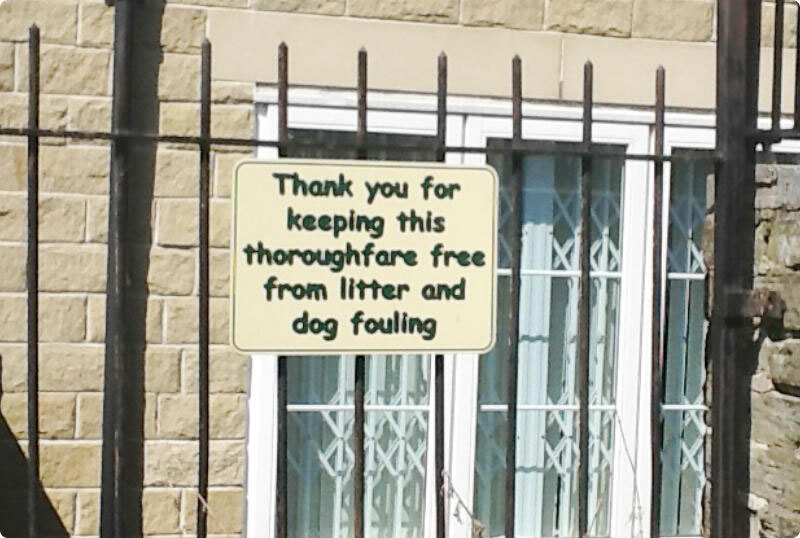 Alternatively they can be fixed flush. 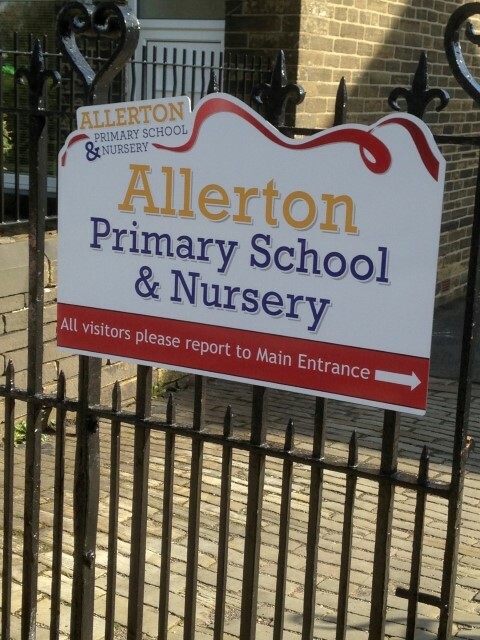 We supply a wide range of aluminium signs which can be mounted onto either a wall, fence or gate. 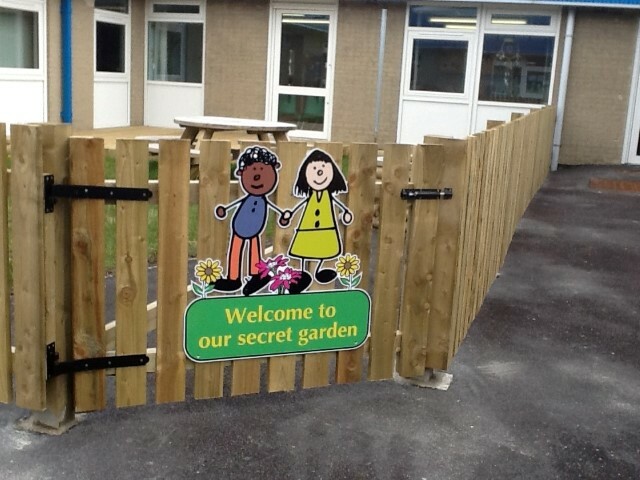 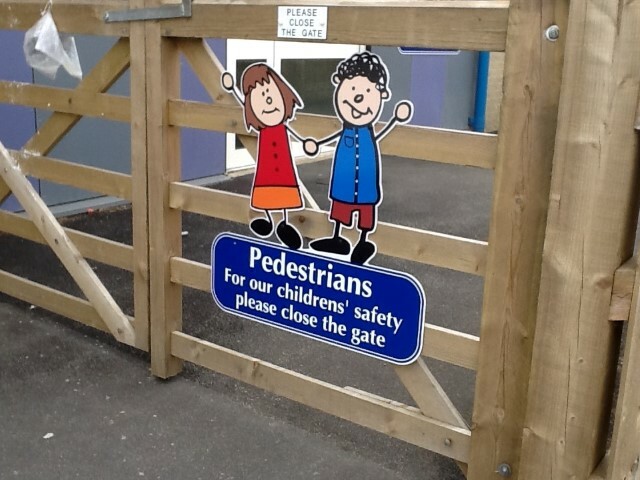 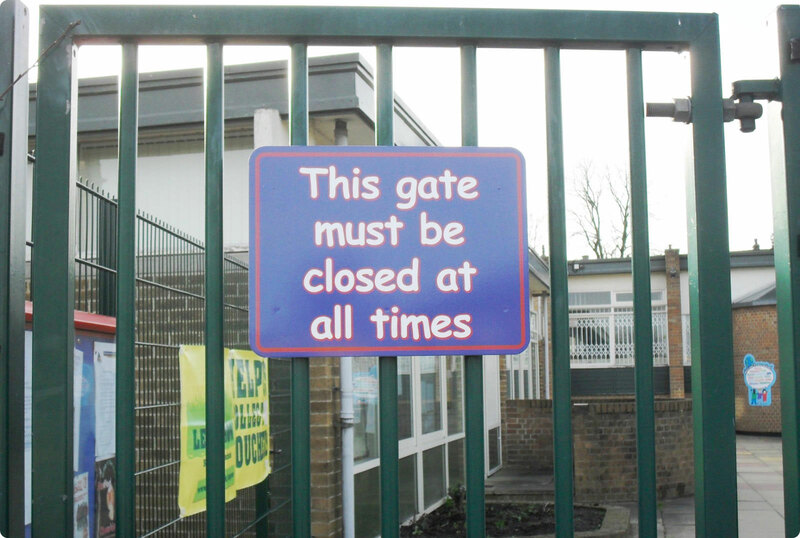 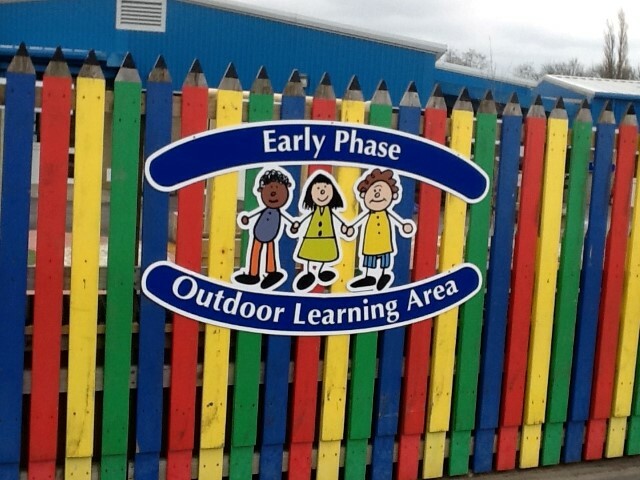 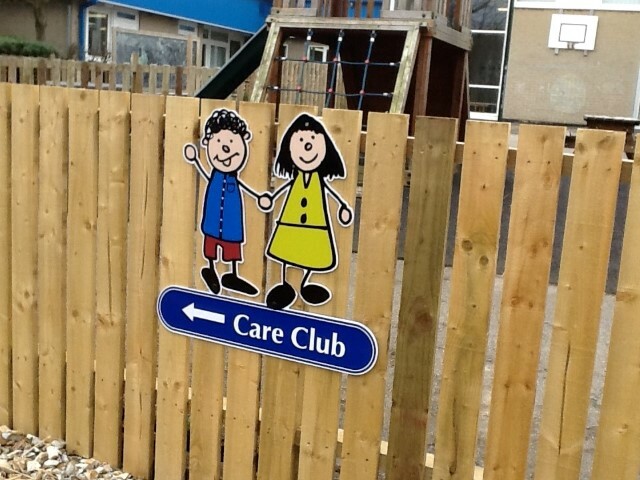 The gate and fence signs can be single sided or double sided. 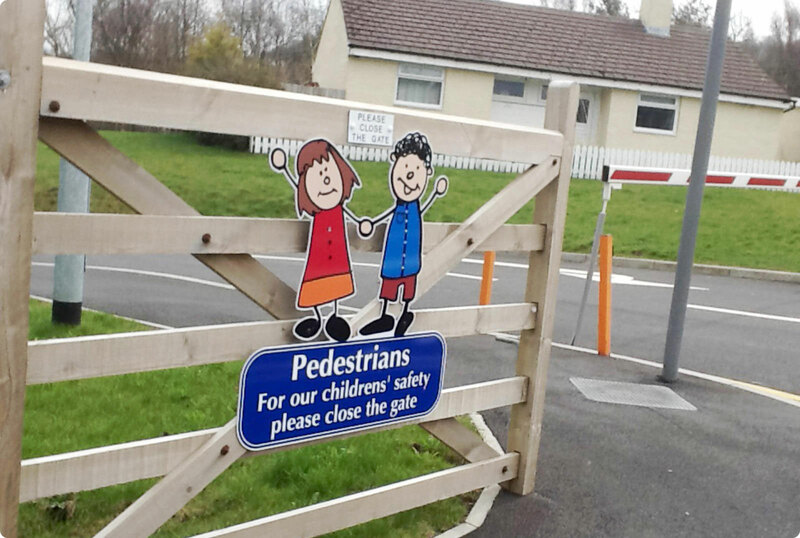 Two signs fixed back to back enables clear information or safeguarding instructions to be displayed from both directions. 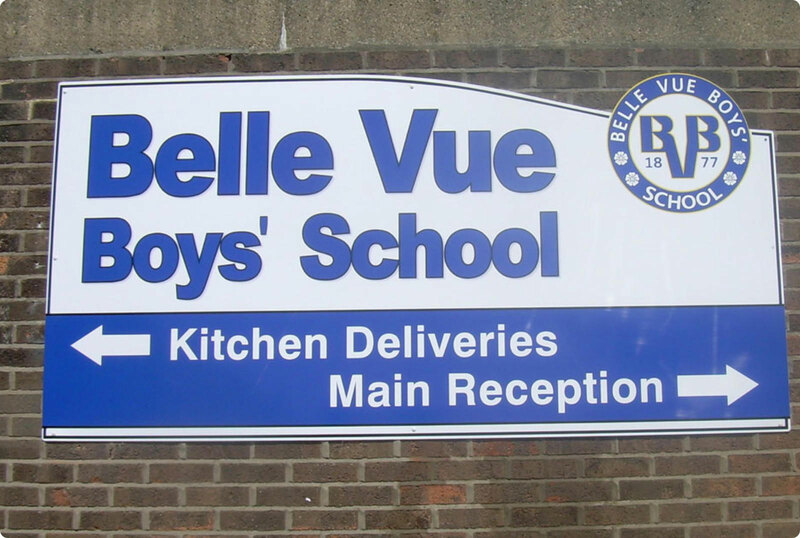 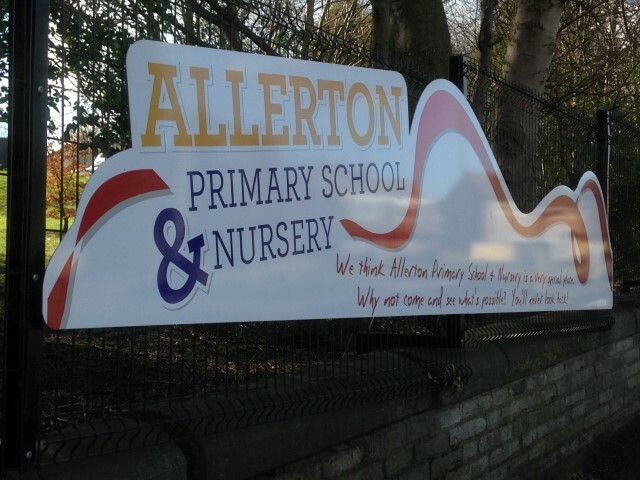 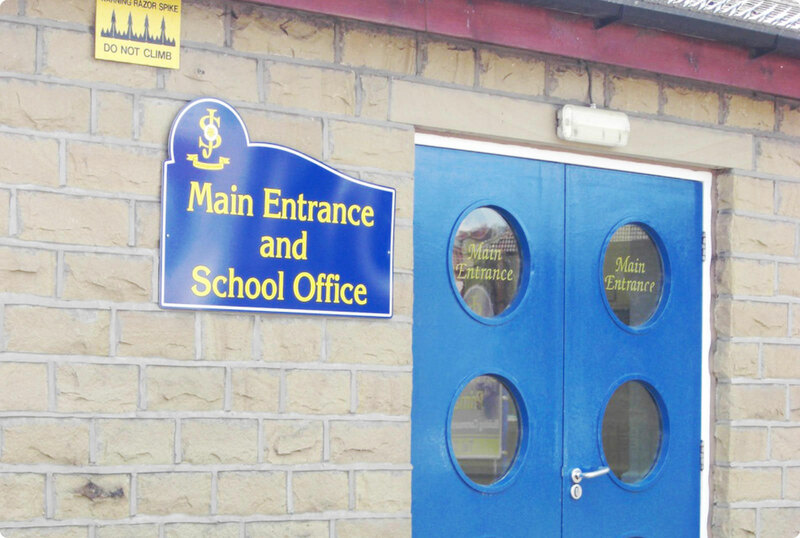 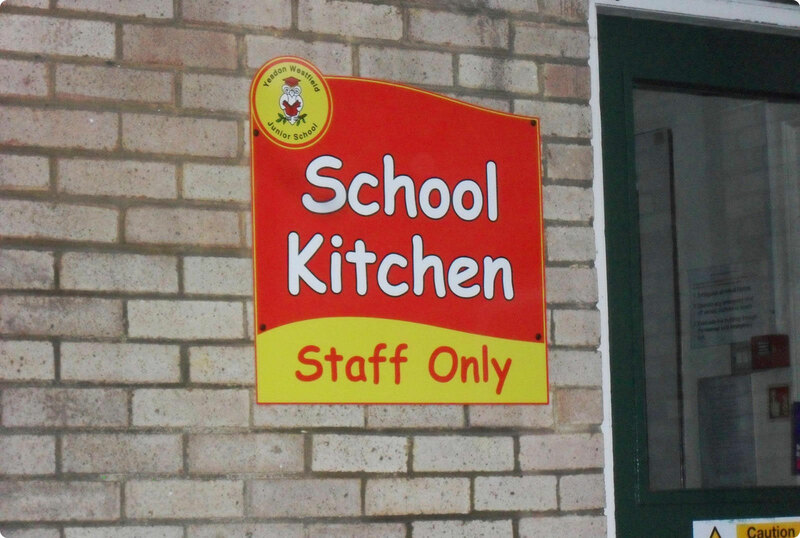 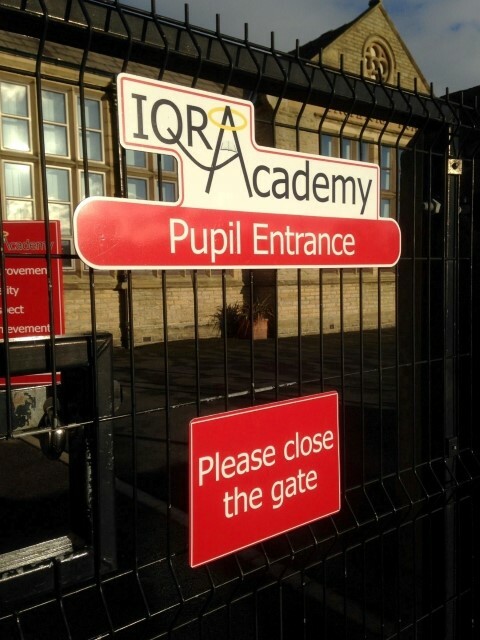 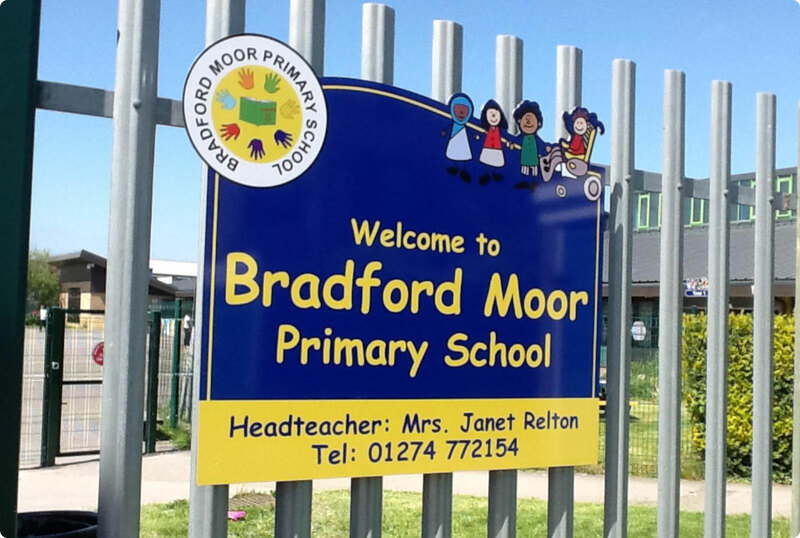 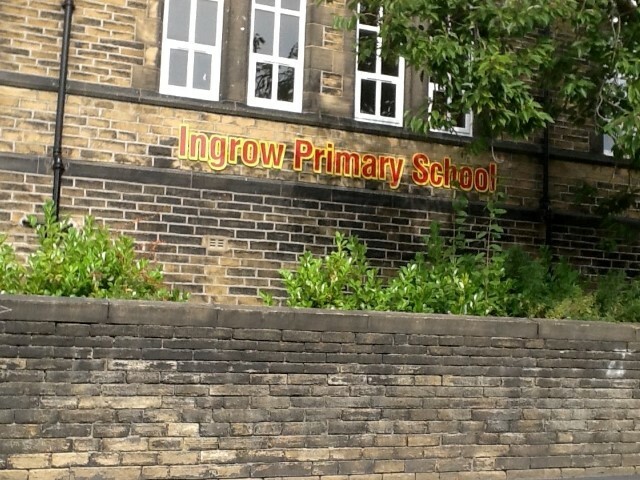 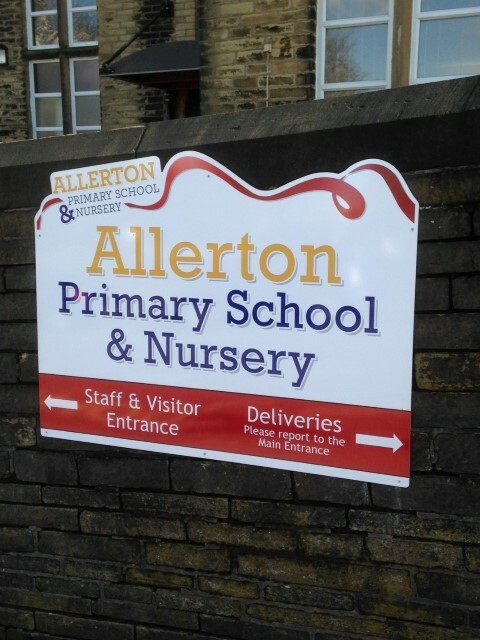 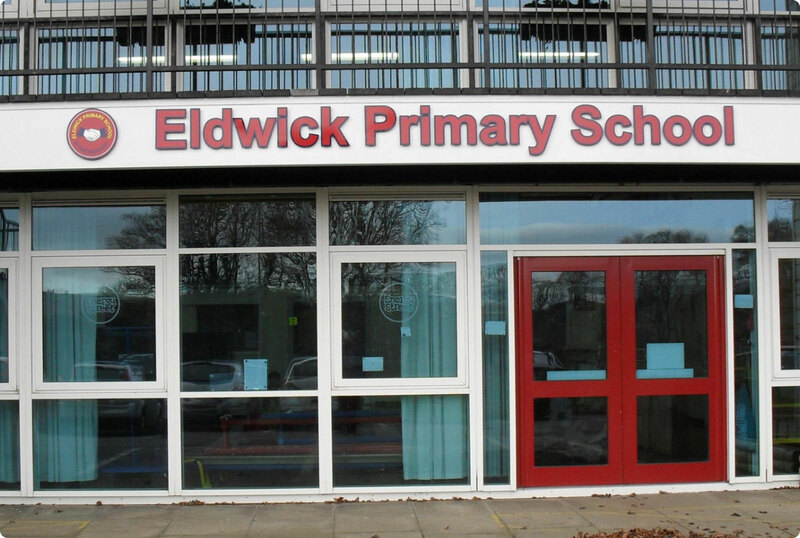 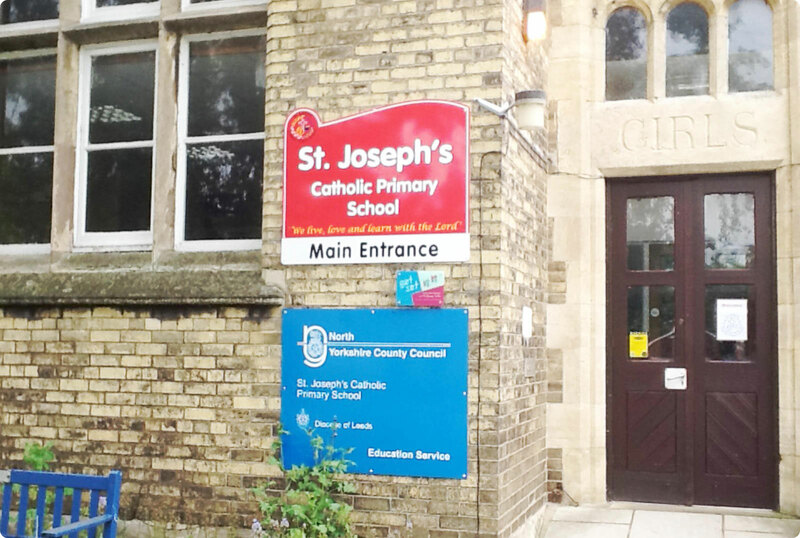 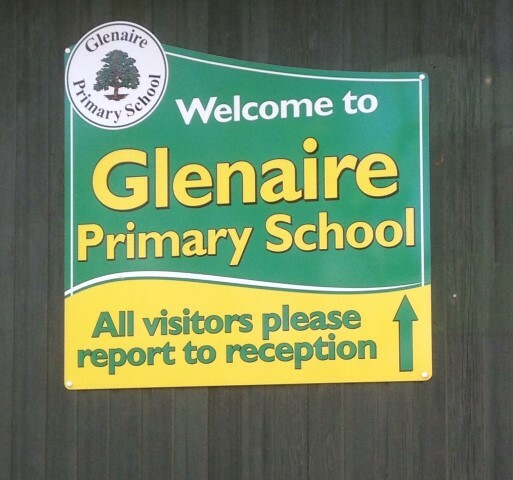 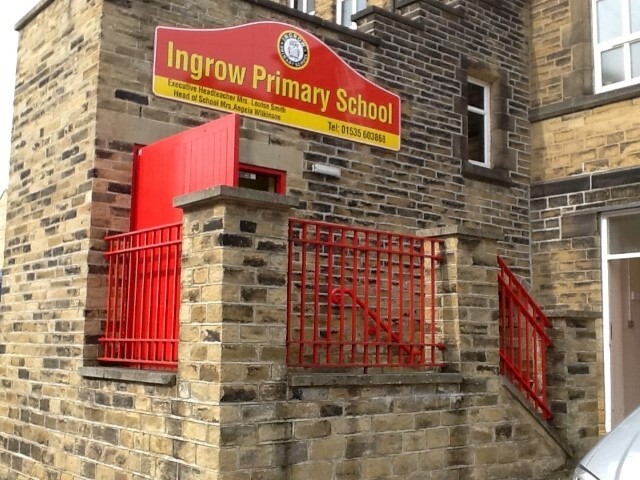 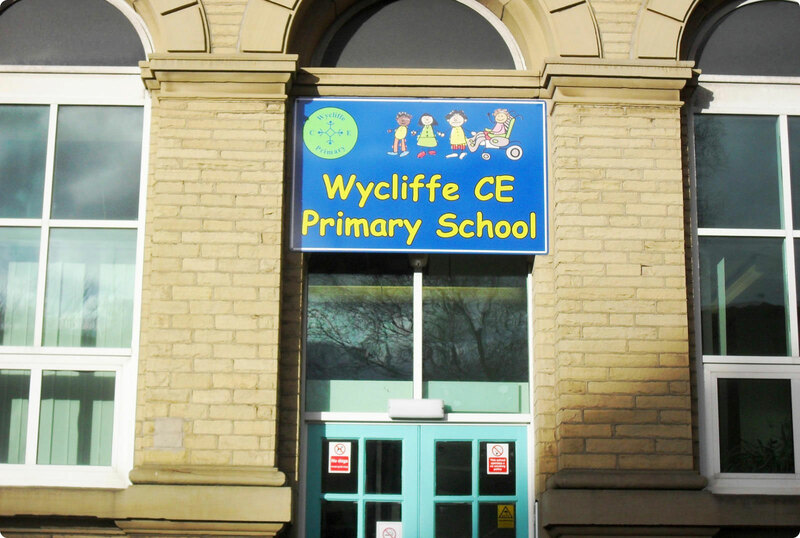 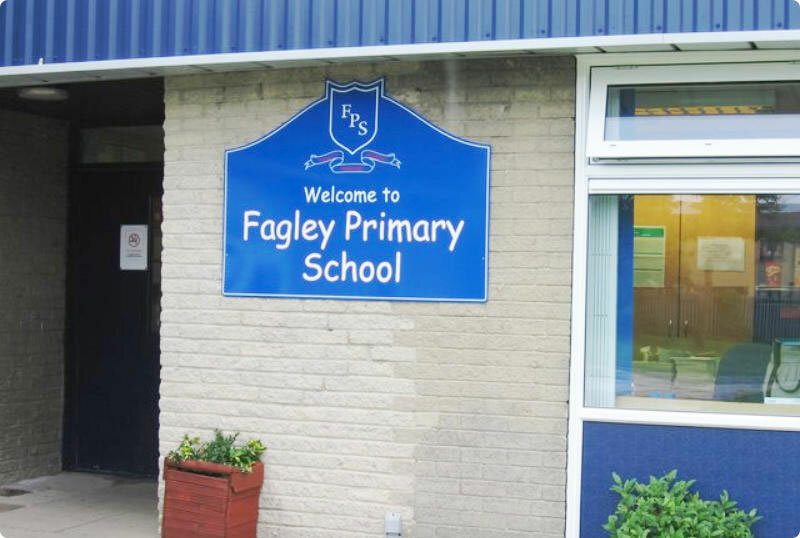 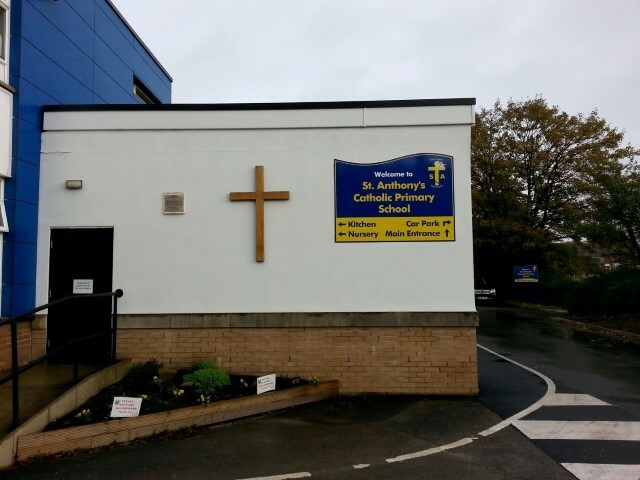 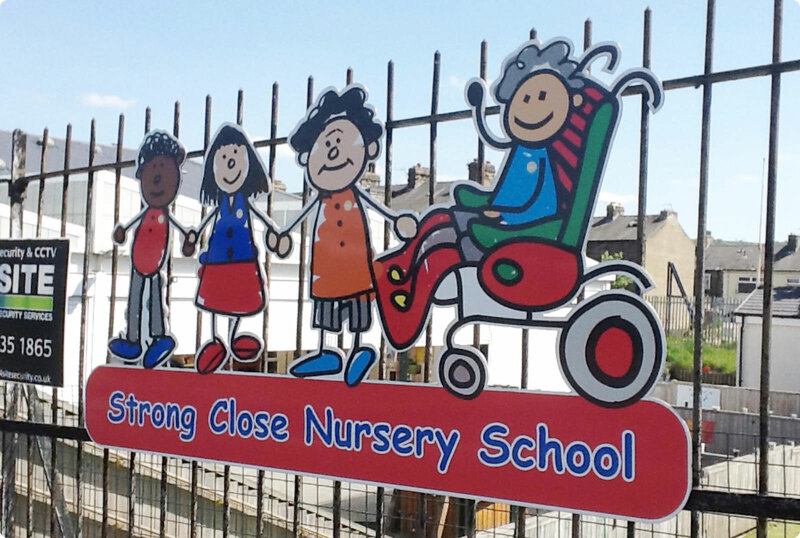 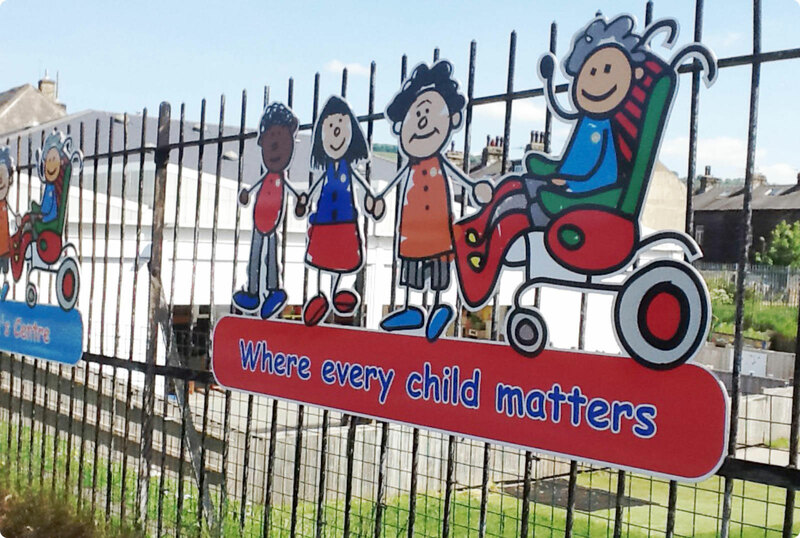 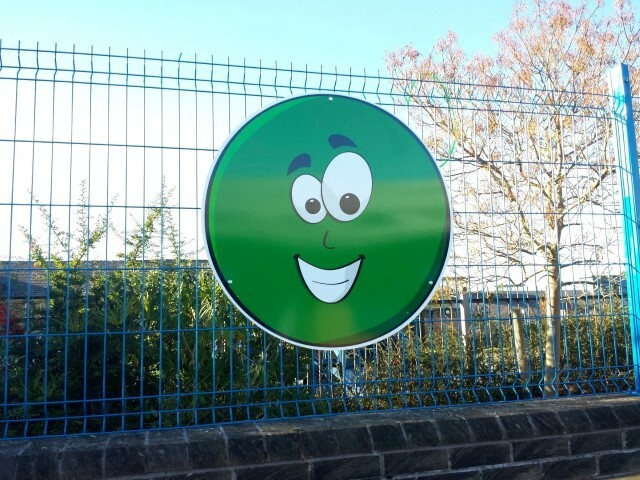 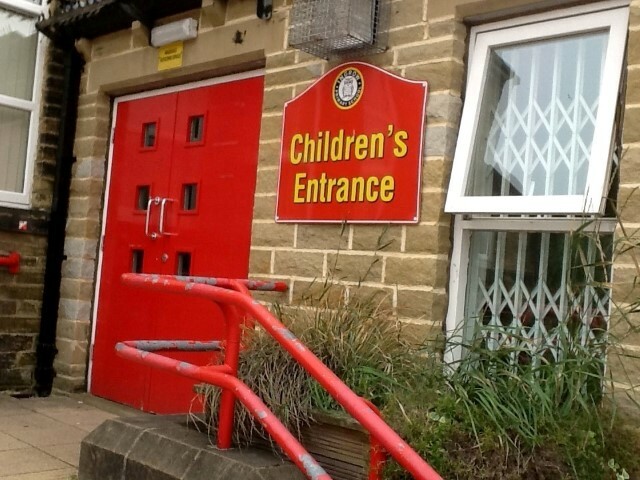 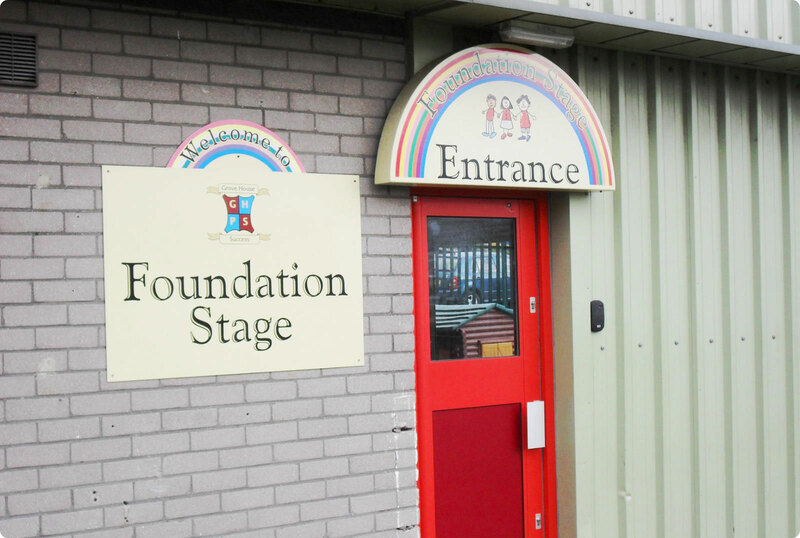 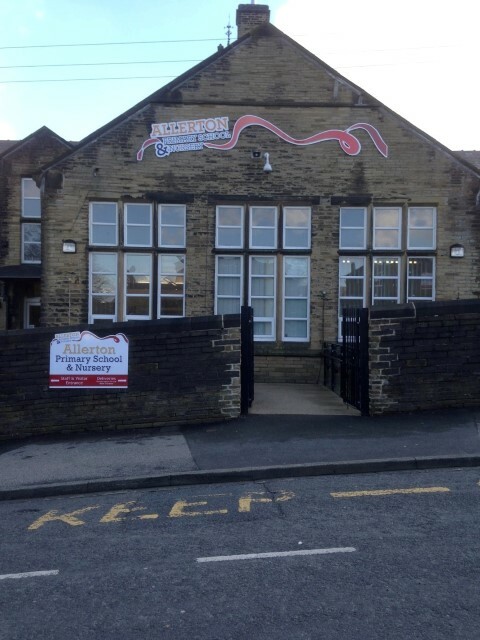 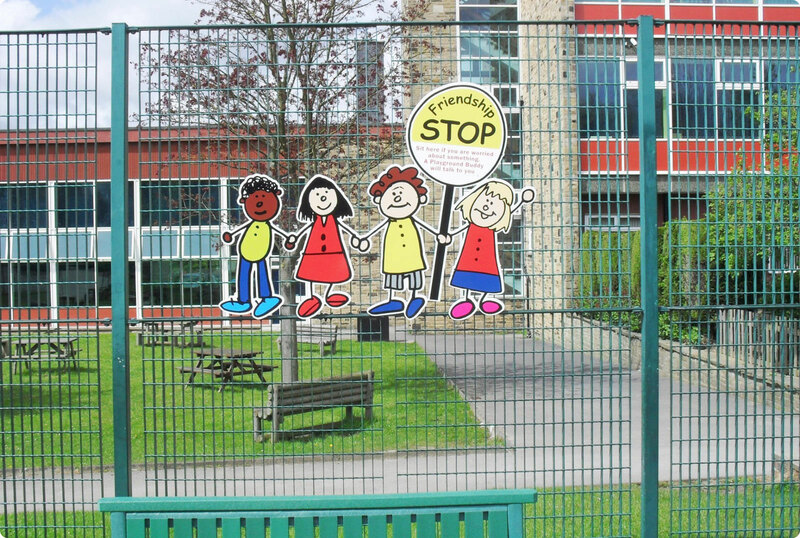 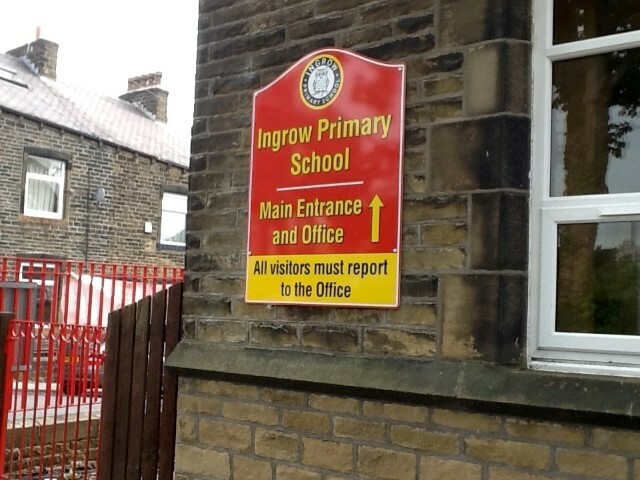 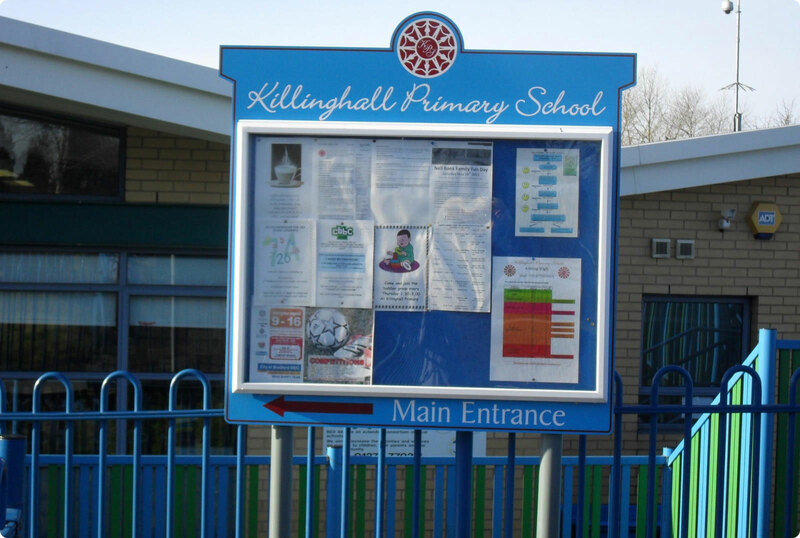 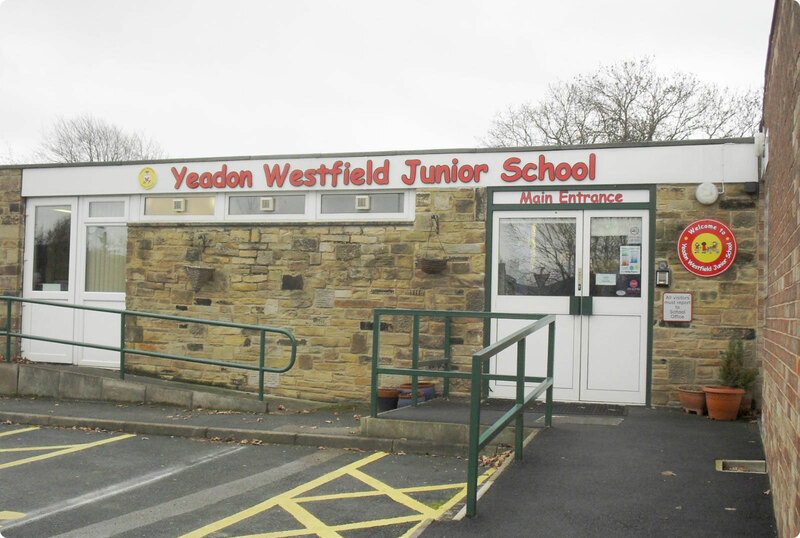 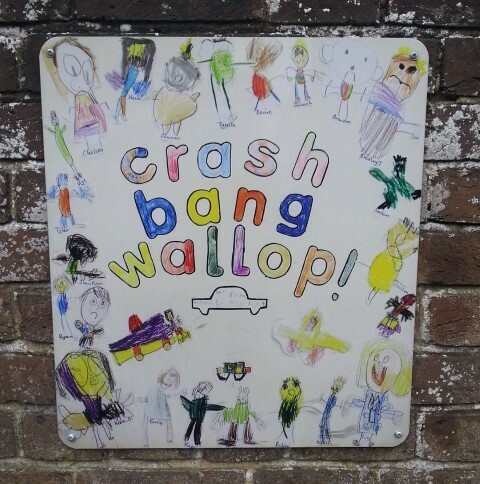 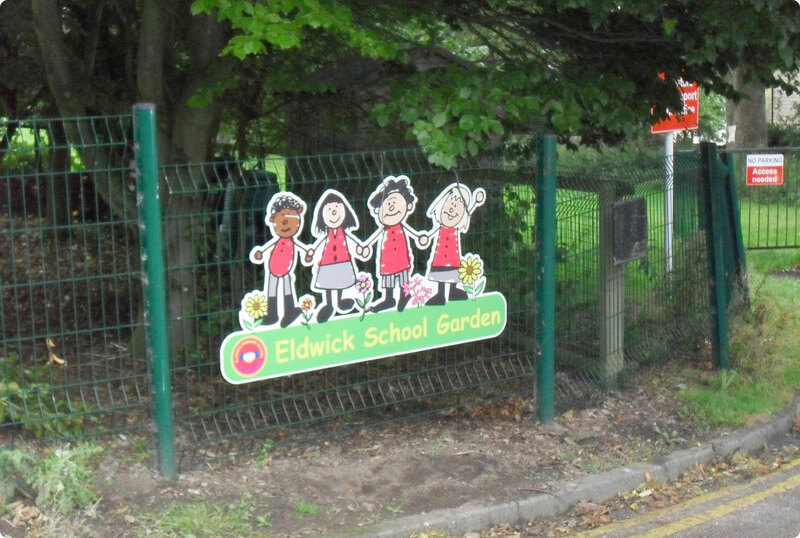 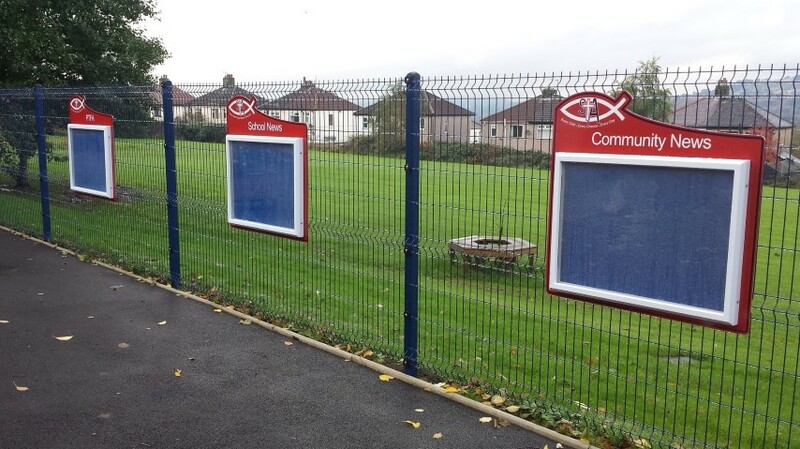 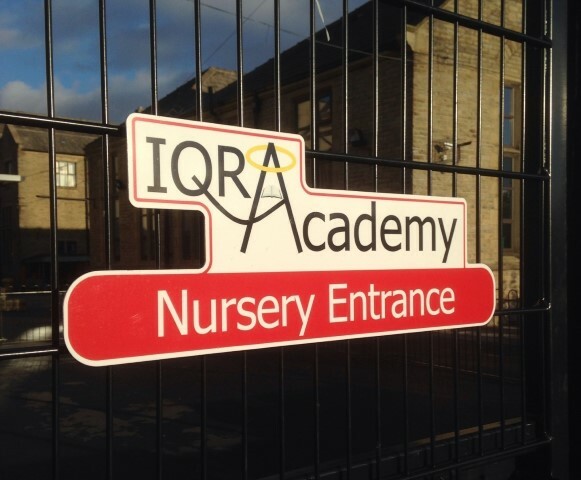 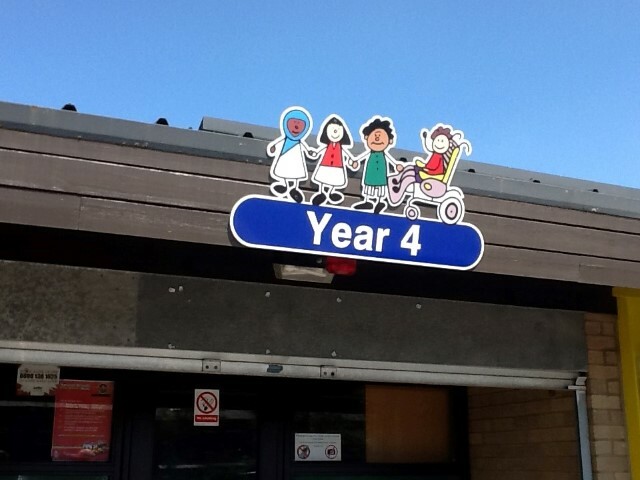 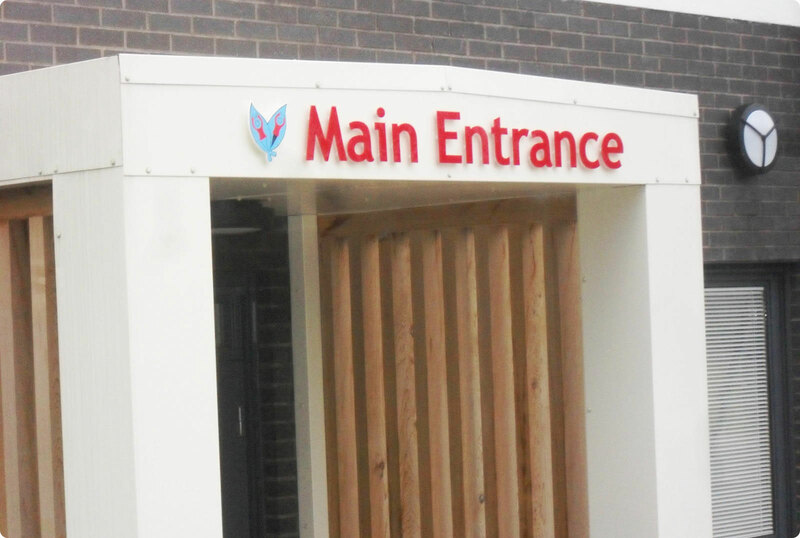 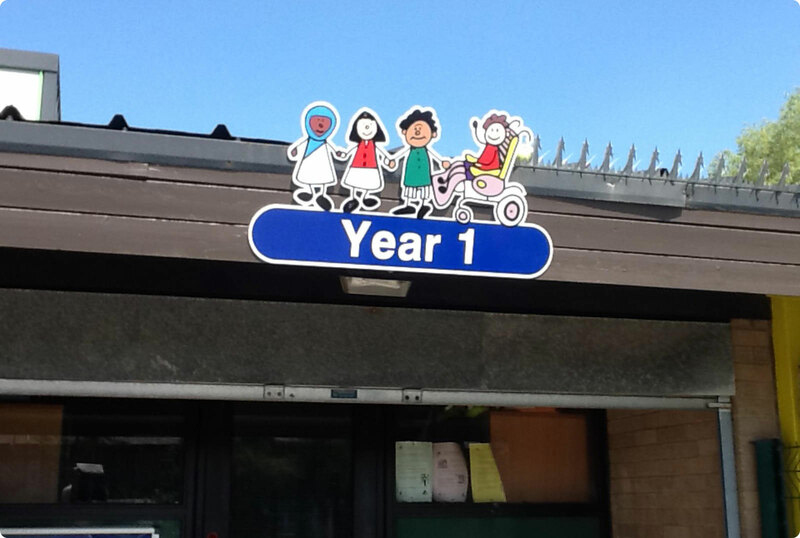 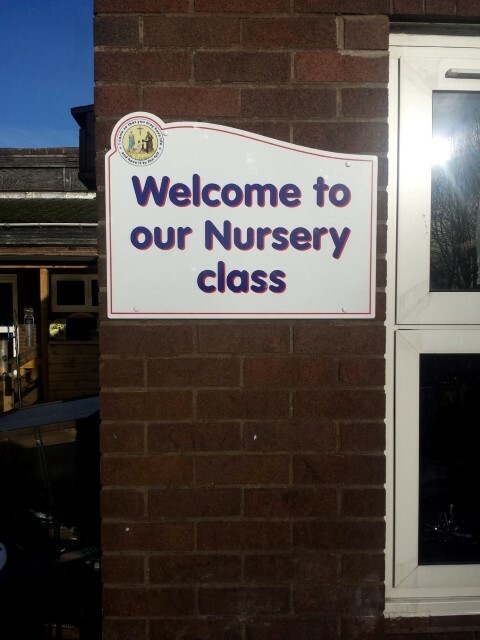 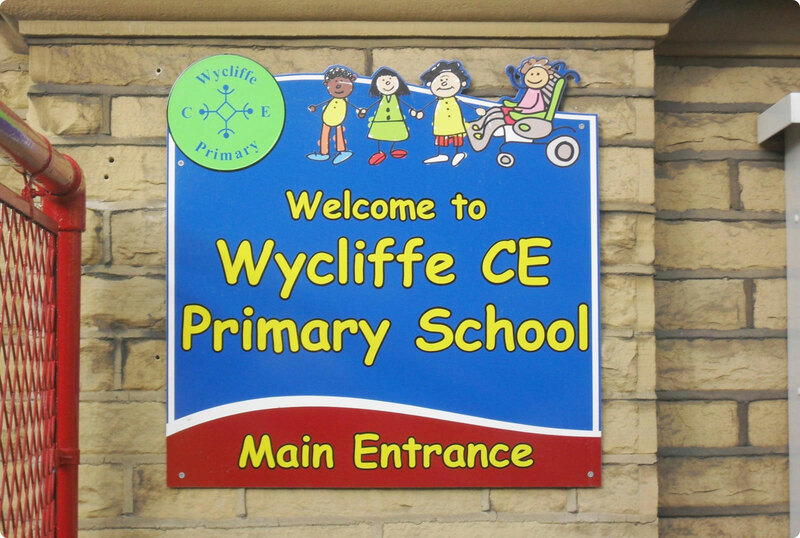 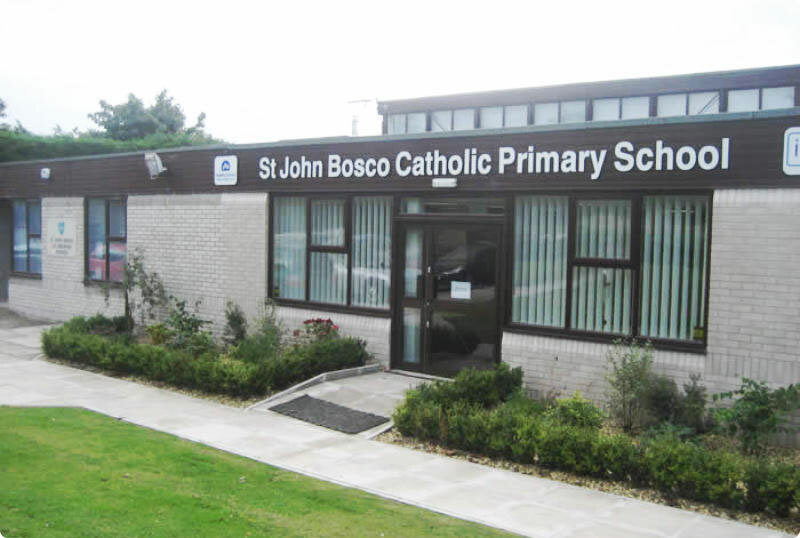 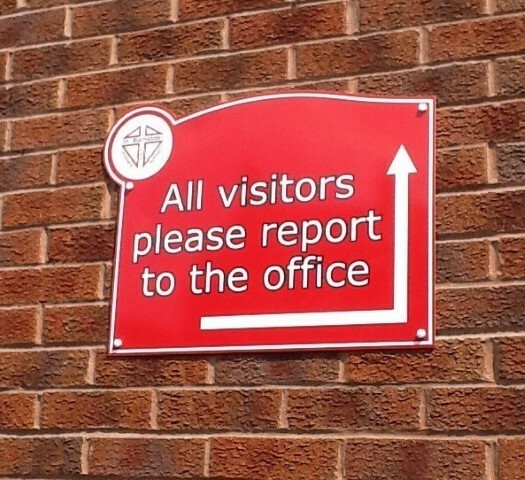 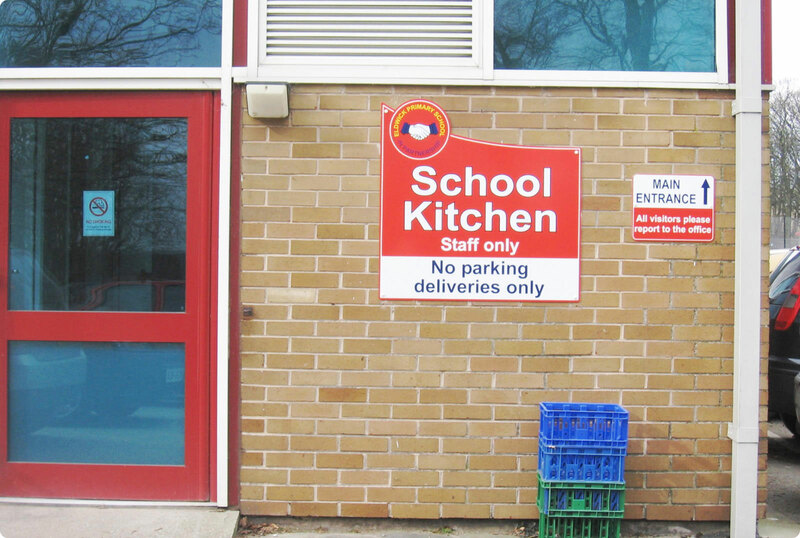 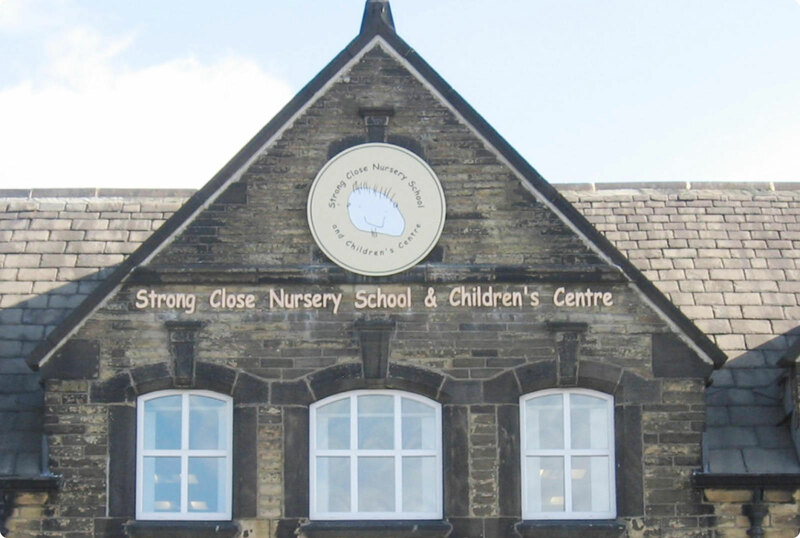 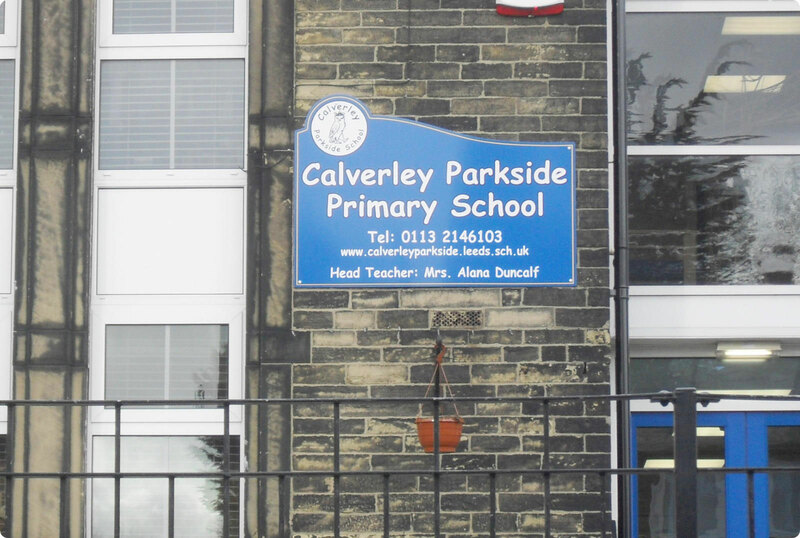 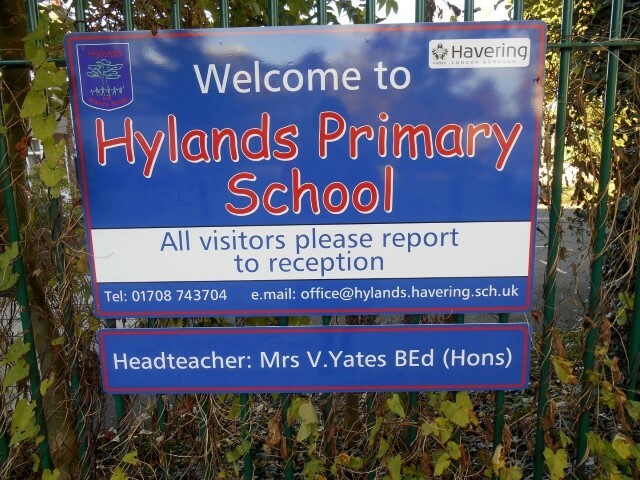 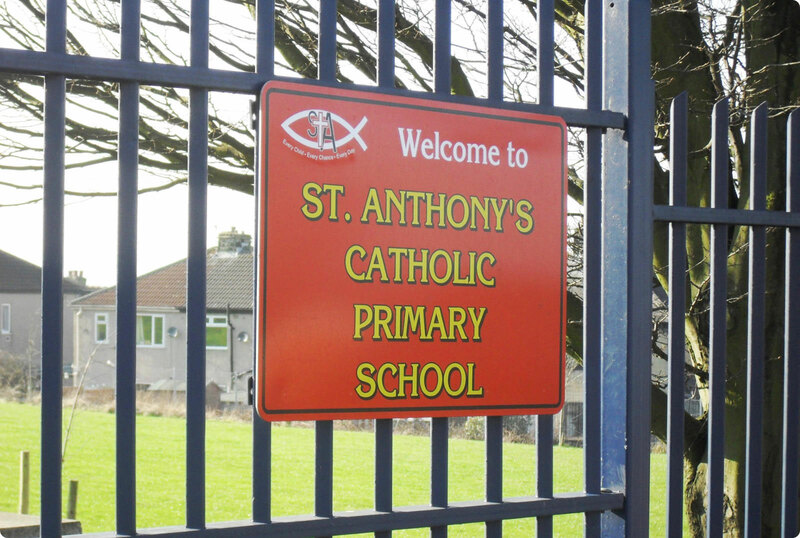 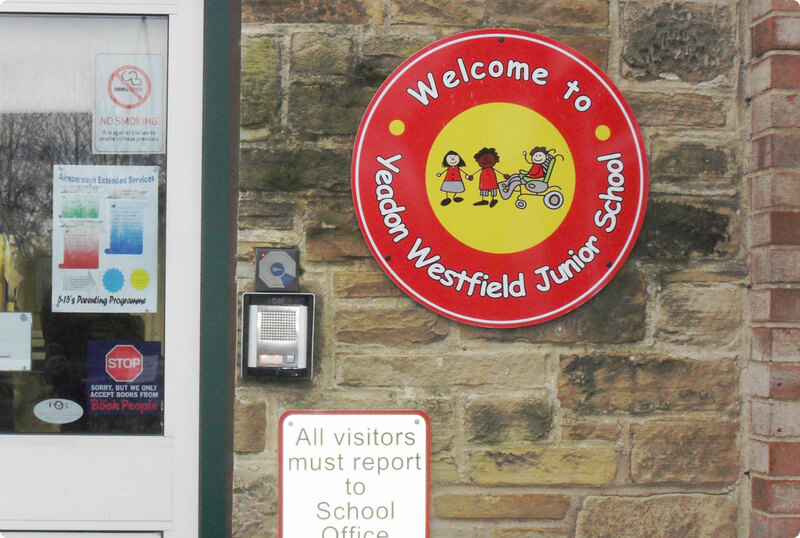 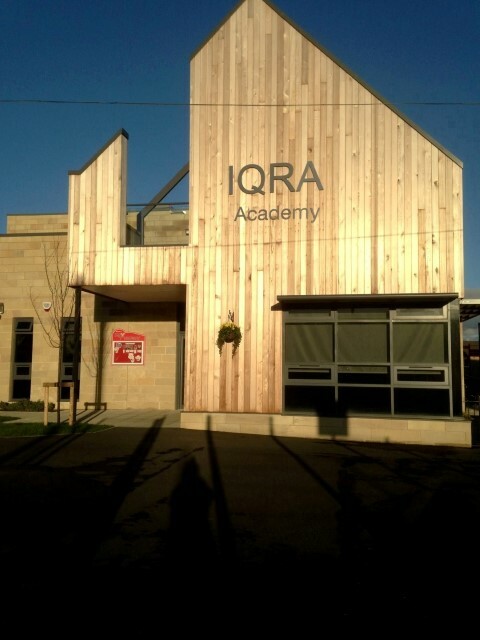 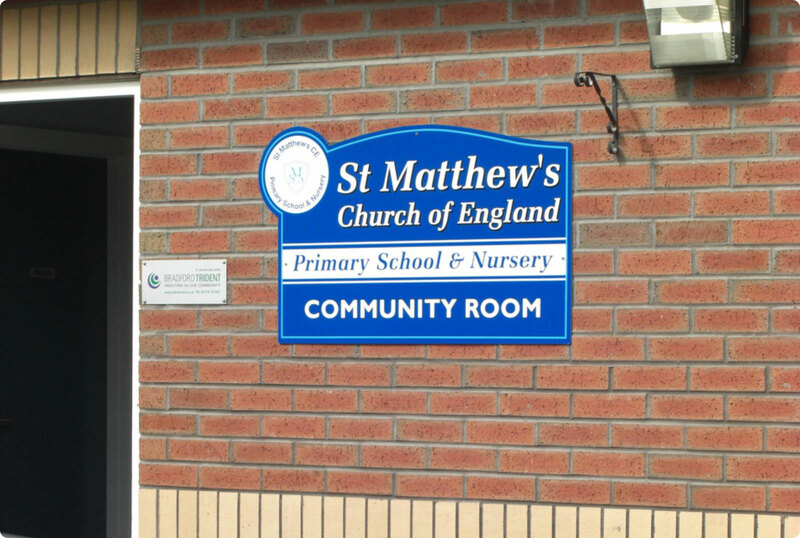 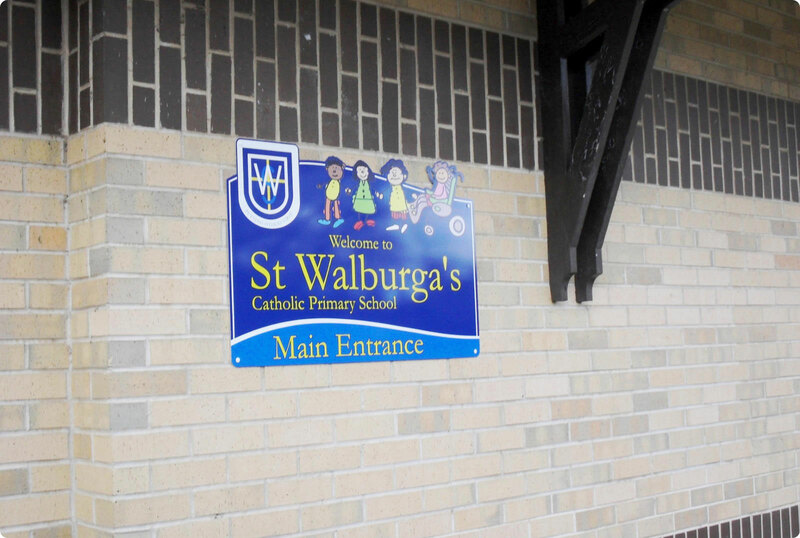 The aluminium wall, fence or gate signs can have a shaped top to incorporate your school logo, or they can be simply rectangular, square, round or any other shape you prefer.